Say hello to our returning guest host for this week's Start The Week Stylish linkup: Ada from Elegance & Mommyhood. Ada is a fashion blogger who you may remember from earlier link ups. Today she's back to show off her swim style. Be sure to stop by her blog this week and say hello! 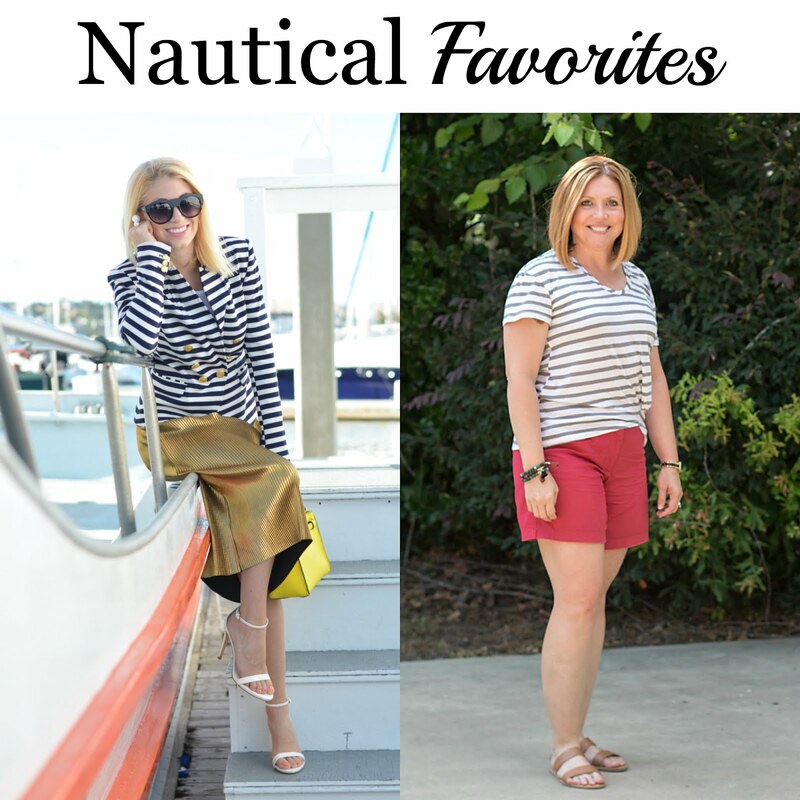 We loved the way Stefanie of The Style Safari and Fonda of Savvy Southern Chic styled their nautical looks last night. That romper is so cute and is the perfect beach coverup! I love your braids! Such a fun coverup! I need to get a good one. Now that's a smart way to make your clothing versatile, Michelle!! Love that darling cover up! Your hair is adorable like that too! I can never find cute coverups like this one! You are so beach ready, and so cute! Asos and shoptiques are the best for affordable beachy pieces! That is such a cute cover up. I love the print and colors! Love fun swimsuits and cover-ups! Thanks for the link up! I love wearing rompers as beach cover ups too, and I'm loving yours! Such a cute beach look. Your romper is the perfect beach cover-up! Such a pretty print! And I'm loving your braids! Cute cover-up, love the color scheme on you. Love this romper/coverup! Your braids are so cute with this look! Thank you! I love wearing a romper just as much as a typical cover up dress! Sometimes I go to the beach/pool just to wear the cover up! You look cute. How cute is this cover up! I almost would wear it as a romper by itself! Thanks for hosting the link up and have a great week! I have worn it on its own a few times this summer! I usually just pull on a maxi dress as a cover up. Love this romper cover up! I have never thought of wearing a romper as a cover up, but this is genius. Yours is so cute! Yea! They make great beach coverups and then also work as outfits for the summer. Loving the romper! Gorgeous colors! Great beach coverup. So feminine and delicate. Cute cover-ups are essential! Love this one on you, lady! Loving this cute romper and your braids, Michelle! Cute look, babe! It's perfect for Summer! Oh that IS a cute romper. And love you styled with your hair so chic and the shades. Nice. This romper is a perfect beach coverup! Such a great romper!! Your hair looks adorable too! You look adorable in braids and rompers. I loved doing this particular theme with you. I showed a lot of skin, but that is needed sometimes to boost our confidence. Your swimsuit style plus coverups are always on point too. Thanks fie having me as your guest during the beach week. Thank you! This was a fun theme. Makes me miss the summer!